The model fee for this one is FREE! It’s an old tea cup I found in my wife’s collection. She has recently giving-up coffee, so the cups have become a more regular appearance at our table. I would not say I'm inspirited by the cups, rather I have been in somewhat of a creative bind. Therefore, I thought painting something was preferable to painting nothing. 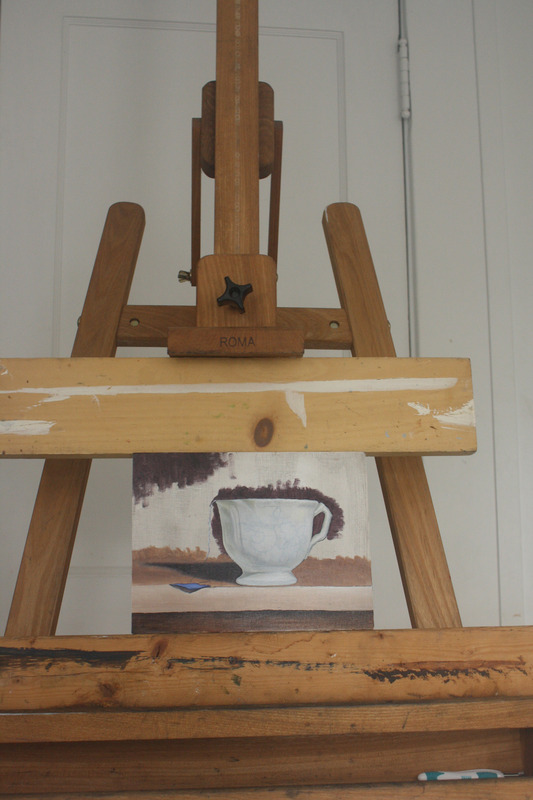 Thus, I'm painting a cup. The painting is on a rectangle panel (8x6). The cup is elaborately decorated with flower. Hopefully, I will be able to pull it off, because I have already picked-out the prefect frame.